Homecurrent health articlesDoes The Green Coffee Bean Extract Work? Does The Green Coffee Bean Extract Work? Does the green coffee bean extract work? The claims sounded so appealing. You could just take this green coffee bean extract and the pounds would melt away. You didn’t need to exercise or change your diet. But then you were given a pseudo-scientific explanation about how it was the chlorogenic acid in the green coffee bean extract that was responsible for its amazing properties (What they didn’t tell you was that chlorogenic acid is present in all roasted coffees). You were told that it was backed by a clinical study showing that people lost 17.7 pounds, 10.5% of their body weight and 16% of their body fat in 22 weeks without diet and exercise. To top it all off you were told that it was endorsed by Dr. Oz on his TV show and provided with a video clip to prove it. After all of that you were probably tempted to say “Maybe…just maybe… these amazing claims might be true.” You may have even been tempted to try it. Were the claims true? Is green coffee bean extract the miracle weight loss product that everyone has been looking for? Or was it just another bogus weight loss product? Is Green Coffee Bean Extract Bogus? Evidently the Federal Trade Commission did not consider the claims about green coffee bean extract to be true. The FTC sued one of the companies that manufactured and sold green coffee bean extract for promoting a “hopelessly flawed study” to support the weight loss claims for their product. The study was too small, at 16 subjects, to provide convincing data. The study contained a number of critical flaws in the design and results of the study. For example, the greatest weight loss actually occurred in the placebo group. The lead investigator in India actually falsified the results. The manufacturer eventually agreed to pay $3.5 million to the FTC to settle their complaint. Basically, the company agreed with the FTC that there was no evidence to back their weight loss claims. How Did Dr. Oz Get It So Wrong? What about Dr. Oz’s endorsement? In Dr. Oz’s 2012 show segment he called green coffee bean extract “the magic weight loss cure for any body type.” The most puzzling aspect of this whole saga is how Dr. Oz got it so wrong. After all, he is a trained neurosurgeon. He is Vice Chair of the Department of Surgery at Columbia University. He understands the principles of evidence-based medicine. Evidence-based medicine simply means that it is a physician’s responsibility to check the scientific evidence before recommending a treatment to a patient. Yet he never even looked into the supposed “clinical study” backing green coffee bean extract’s weight loss claims. How Can You Protect Yourself Against Weight Loss Scams? There are dozens, if not hundreds, of new weight loss products appearing on the market every year. The FTC is doing its best to police the claims that are being made, but they are clearly overwhelmed. And even when they have an airtight case, it can take years for them to force a company to stop making false claims. So, how can you protect yourself against weight loss scams? How can you avoid wasting your money on products that don’t work, or may even harm your health? I advise a little healthy skepticism. Be skeptical about the claims. The old adage “If it sounds too good to be true, it probably is [too good to be true]” is always good advice. 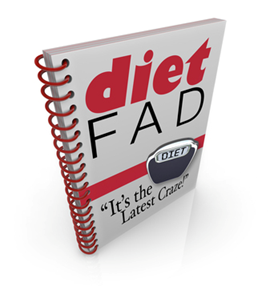 In a previous “Health Tips From the Professor” I discussed the the FTC’s recommendation for “7 Easy Ways To Spot Fad Diets”. That one is probably worth printing out and keeping handy so that you can review it the next time a new diet program comes out. Be skeptical about the studies. The bottom line is that not all clinical studies are reliable. I realize that it is extremely difficult for a non-scientist to evaluate the validity of clinical studies. My best advice is to go online and see what other experts are saying about the study and the claims. There are a number of “fact checker” blogs online that focus on careful scientific analysis of product claims and the “studies” that support them. My belief is that these experts all start out with good intentions. However, to develop a really big audience and keep them engaged they feel pressured to deliver novel and sensational health news every single week. The reality is that there are not advances every single week that are novel, sensational… and scientifically accurate. Eventually, they feel pressured to sacrifice accuracy for novelty. That is why my blog is different. I don’t promise you spectacular and sensational news every week, but I do promise you accuracy. I will share the latest headlines, but I will tell you both their strengths and their weaknesses. Ultimately, it is your responsibility to protect yourself against weight loss scams and I tell you how below. Fortunately, what you can always count on from me is I will be honest with you. So, does the green coffee been extract work? According to the FTC the green coffee bean extracts that were so widely promoted a couple of years ago were yet another example of bogus weight loss products. 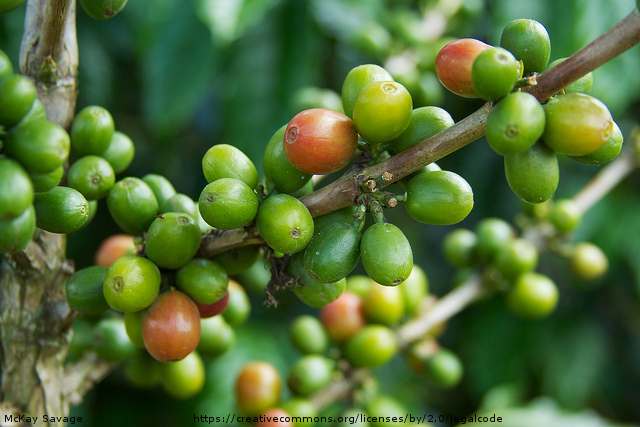 The FTC sued one of the companies that markets and sells green coffee bean extract for promoting a “hopelessly flawed” clinical study to advertise their product, and the company has recently settled with the FTC for $3.4 million. Be skeptical of claims that sound too good to be true. Be skeptical of the clinical studies the companies quote to support their claims. Be skeptical of expert endorsements. This product was even endorsed by Dr. Oz on his TV show. Great info Dr. Chaney! Thanks! When learning to do Research, I learned to look into studies, whether they were RCTs, the premise, the actual testing, and the P value. I have found Dr. Oz pushes a lot of non-back-upped stuff without any scientific background. Your articles help me to explain the real facts and validates my research and sharing information with them. Thank you. Lets not blame the Coffee here. A message should not go that all Coffee Bean Extracts are bad. People should be educated to identify between a good and a bad product. I’m sorry, but if we are talking about weight loss, there is no good evidence that the chlorogenic acid content of green coffee bean extract makes any difference.